Today I am especially thankful for my mom. Maybe it’s because we spent the day together, shopping and having lunch (in between my doctor’s appointment), but it was a perfect reminder how important our moms are in our lives. 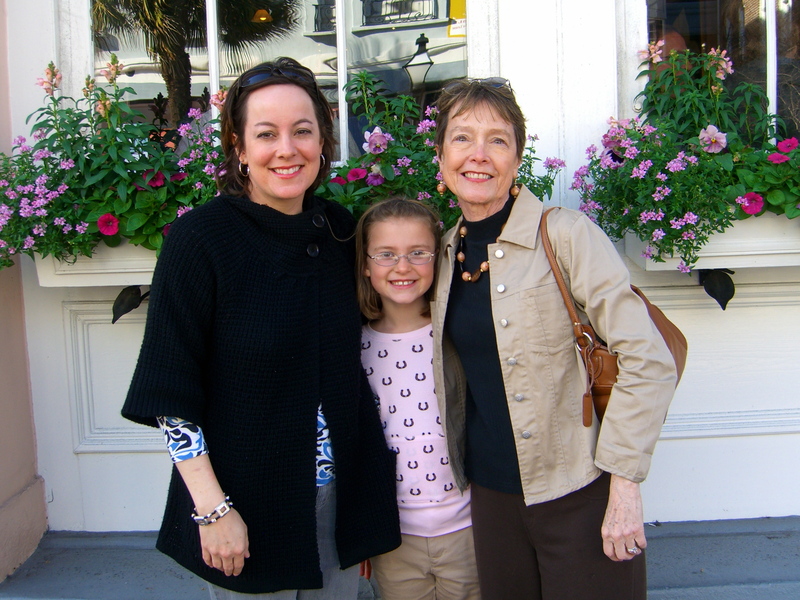 The photo was taken on our girls’ weekend to Charleston, and we look all smiles here. Who knew that a few short hours later, I would almost faint on the street and get incredibly sick! But I was in great hands-who better to take care of me than the woman who had done it all her life? Come to think of it, we’ve had some outlandish trips together-I’ll never forget our jaunt to Atlanta to preview colleges where the accelerator started malfunctioning and I had to drive on I-85 into Atlanta with the cruise control set? (Yes, true story). Or the time we traveled with my parents to St. Croix and she lost her brand new Hook bracelet behind the built-in furniture. Blame it on the Bushwhackers (yes, that’s the name of a real drink in St. Croix) You can find the recipe here -and you’ll thank me later! But my favorite was our family Christmas vacation to Jamaica that got crashed by a certain someone who surprised us all by showing up to propose? Now that’s a separate story entirely-and quite elaborate at that, so I’ll save that one for another day 🙂 Needless to say, I am blessed to have her for my mom! Love you, muz!